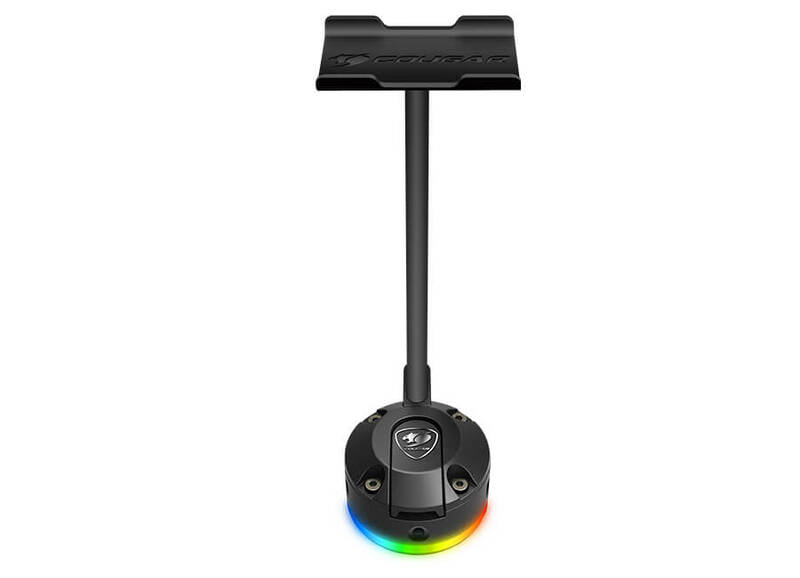 Bunker S RGB’s suction pad makes use of patented technology to attach itself with incredible strength to the surface you want to use it on. 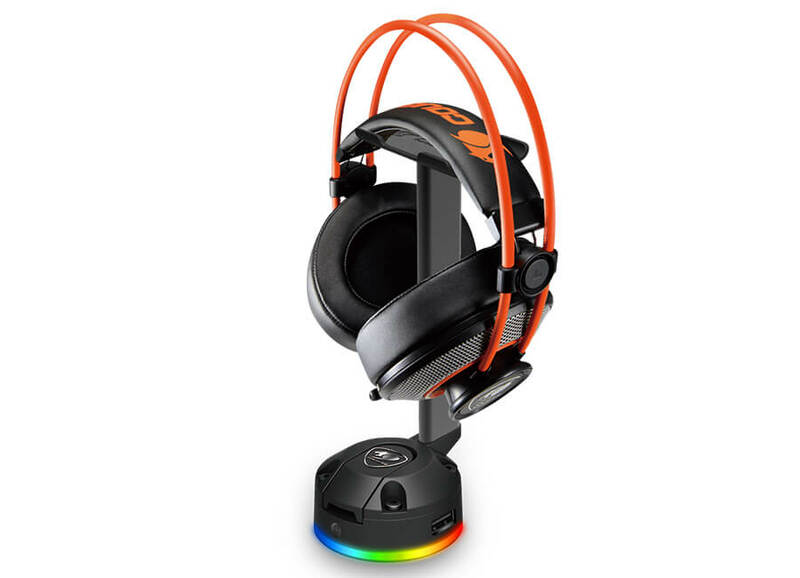 This technology protects your headset: the stand won’t fall if it is accidentally hit, even by relatively strong forces. 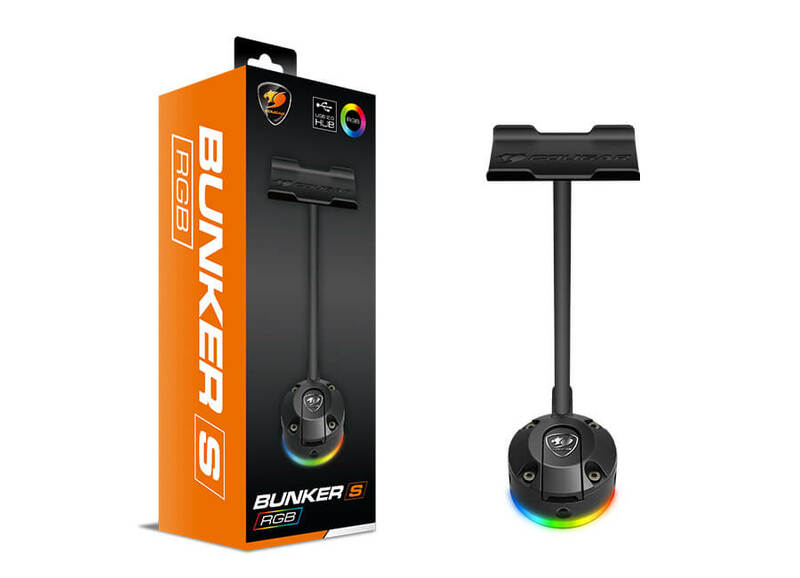 Bunker S RGB can be used in two different modes: Standard Mode, in which it is attached to a horizontal surface, and Case Mode, in which it attaches itself to a vertical surface such as your PC case. This gives you leeway to decide how to manage your space, helping you to optimize your desktop layout. Bunker S RGB can display fourteen fantastic lighting effects that can be selected merely by pressing a button. 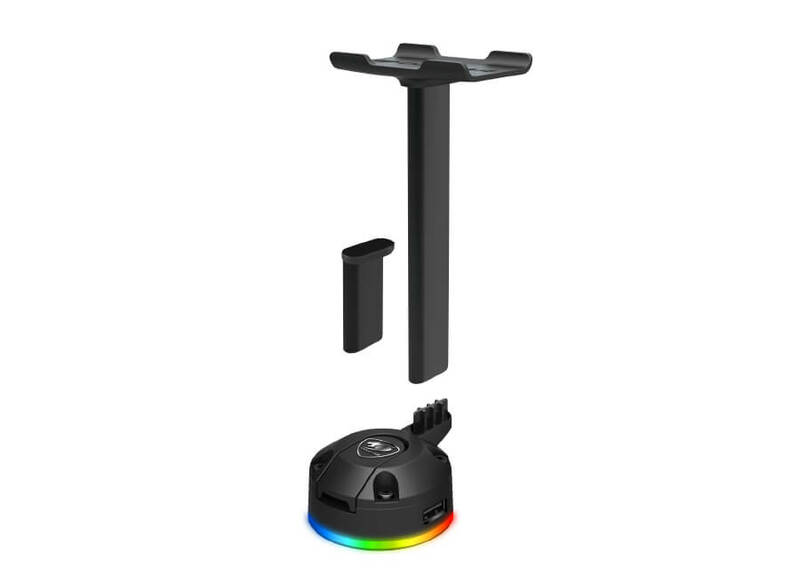 Ideal for charging or synchronizing electronic devices, connecting extra peripherals or storing data on portable USB drives, Bunker S RGB’s on board two-port USB hub is extremely convenient. 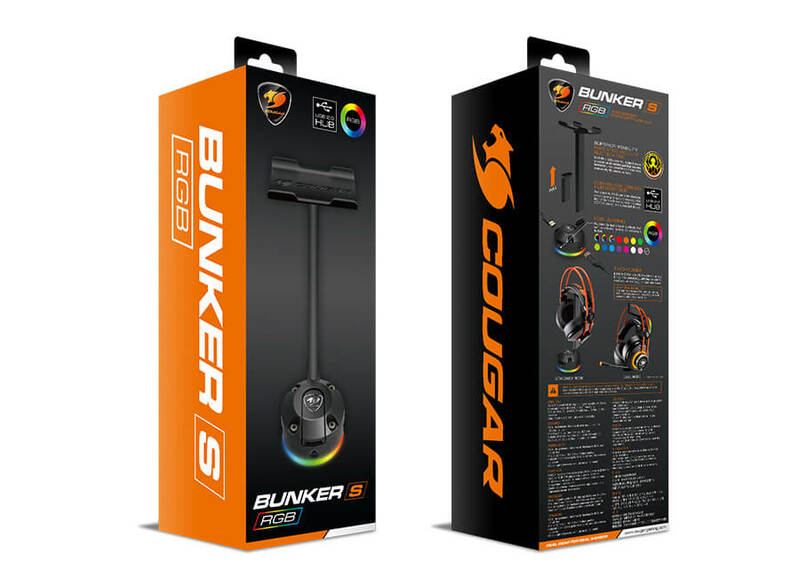 Remove the protective membrane and clean the surface on which you plan to use COUGAR Bunker S RGB. 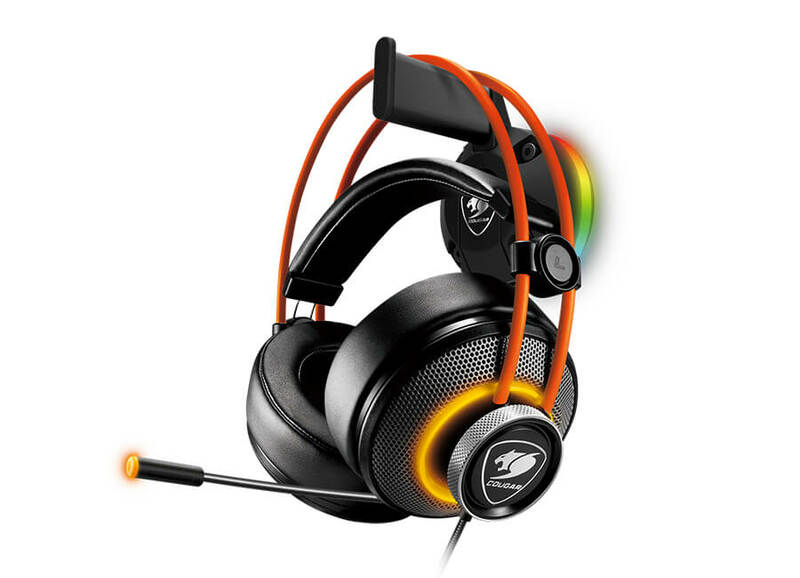 Place COUGAR Bunker S RGB on the desired surface, with the suction pad facing downwards, and press the mouse bungee’s base gently against it, then push the lever downwards. The suction pad has a degree of stickiness. If, after prolonged use, you notice a decrease in the steadiness of the device and a weakening of its suction, please use a wet tissue or a damp cloth to wipe it, being careful to avoid liquid contact with any part other than the suction pad. After removing any dirt or impurity with it, please wait until the suction pad is completely dry; it will regain its stickiness.